The central layer of the eye is called the uvea and uveitis is the inflammation of this area. The choroid, iris and ciliary body from the uvea. Inflamed iris called iritis is the most commonly occurring uveitis. Types of uveitis are described depending on the area of the uvea that gets affected like – anterior, posterior, intermediary or panuveitis where all areas of the uvea get inflamed. Some causes of uveitis include some types of autoimmune disorders, inflammatory disorders, eye injury, infections herpes or tuberculosis and cancers that affect the eye like lymphoma. Early diagnosis and quick treatment are needed otherwise, uveitis can cause complications leading to vision loss. Symptoms of uveitis include eye pain and redness, blurred vision, light sensitivity, floaters in the field of vision, a whitish area in front of the iris and decreased vision. Treatments include medication, surgery and sometimes alternative medicine. One thing I noticed that most studies done to find if turmeric can be helpful in Uveitis are relatively new which is not surprising as western world has started noticing the benefits of this herb not so long ago. From 2010, many studies have been launched on the use of turmeric in treating eye ailments like uveitis. Turmeric has powerful antioxidant properties that can both protect and boost the functioning of the immune system. Studies demonstrate that turmeric could help in the reduction of chronic uveitis symptoms. Here are key findings of some of the research studies which have found that turmeric can prove beneficial for uveitis. A study was conducted on a curcumin-phosphatidylcholine compound called Meriva (specifically Norflo tablets) on treating chronic anterior uveitis. The compound was given twice daily to patients differentering etiologies of this condition. There were 106 patients studied over a 12 month period. They were divided into 3 groups – autoimmune uveitis, herpetic uveitis and different uveitis etiologies. The results found that all patients tolerated Meriva well. It reduced eye discomfort in around 80% of patients after a few weeks. The conclusion was the curcumin-based medications could benefit those with anterior uveitis and another eye degenerative and inflammatory conditions such as glaucoma, dry eye, diabetic retinopathy and maculopathy. Meriva formulation is well tolerated up to 2 tablets a day even for long-term use. It is suggested that while more research is required, curcumin is a potent immuno-modulating agent and anti-inflammatory and hence can have a great effect on inflammatory cascade. In another short study of 36 uveitis patients divided into 2 groups, the group taking the turmeric tablets showed greater improvement and no side effects compared to the group that was given corticosteroid therapy. In one study, 32 patients with chronic anterior uveitis were given 375mg turmeric containing curcumin thrice daily for a period of 12 weeks. They were divided into two groups of 18 and 14 patients. The first group got only curcumin. The second group had a severe PPD reaction and was also given anti-tubercular medication. All the curcumin patients showed signs of improvement, whereas only 86% of the second group did so. The recurrence rates of both groups were studied over 3 years. Curcumin seems to offer the same efficacy and recurrences after treatment as corticosteroids without the side effects. A double-blind multi-centric clinical study has been suggested for further validation of the benefits of curcumin. An investigation was done into the benefits of topical turmeric aqueous extracts on rabbits having experimental uveitis. The rabbits were given lipopolysaccharides as intravitreal injections. This induced anterior uveitis in the rabbits. Before this, they were given pre-treatment with an aqueous extract of Berberis aristata also called Indian Barberry or Tree Turmeric and Curcuma longa (turmeric). The anti-inflammatory activity of both herbs was then graded using inflammatory cell count estimation, TNF- α and protein levels and histopathologic changes. The control group showed greater anterior segment inflammation than that found in both extract-treated groups. The conclusion drawn was that such topical treatment using aqueous extracts of B.aristata and turmeric provided antioxidant protection against uveitis in rabbits. . While herbs like turmeric offer various benefits, more studies are required to truly understand their relationship with ailments such as uveitis. Based on some of the studies I have quoted, one can say turmeric can indeed be of benefit in case of uveitis but with limitations. While at present no natural treatment can fully take the place of standard treatment for uveitis, several substances that contain powerful antioxidants could be used as add-on treatments, turmeric along with Vitamin C and E are some of them. 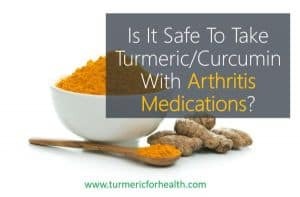 3600 mg is the daily oral dose of curcumin and this can go up to 8g / day. 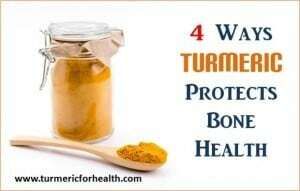 We can consume 0.5 – 3g/day of powdered turmeric root. In clinical trials, 375mg of curcumin 3 times daily was administered to patients who had chronic anterior uveitis. You also get turmeric as liquid extracts and tinctures. I would strongly recommend consulting a doctor before going ahead and deciding your dose. 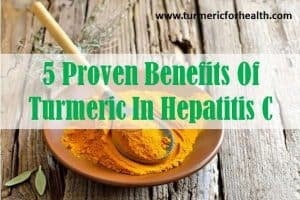 This is because every case is different and several people may have allergies and other disorders which may get aggravated with use of turmeric. Turmeric included in foods is generally safe. Those who have diabetes or gallbladder problems must avoid turmeric supplements. Taken in excess, it can cause diarrhea or nausea. It could interact with medications for stomach acids and blood thinning medications. Always consult your doctor before taking turmeric or other herbal supplements. Turmeric supplements are contraindicated for pregnant and breastfeeding women. It could have abortion-inducing effects and also cause menstrual bleeding. Rare cases of kidney stones and contact dermatitis have been reported. Turmeric can help in reducing inflammation in uveitis. She can take Golden Paste. Start with small doses such as 1/4-1/2 tsp and if you see no side effects then increase the dose gradually to 1 tsp 2-3 times a day over a few weeks. Also you can consult a health practitioner about curcumin supplements if the condition is severe. I have a friend who has posterior uveitis. Is turmeric good and how should it be taken. I am confused. Hi. Your friend might require to take curcumin supplements for benefit in posterior uveitis. Your friend can also start taking turmeric in diet as Golden Paste. You can take Golden Paste. Start with small doses such as 1/4-1/2 tsp and if you see no side effects then increase the dose gradually to 1 tsp 2-3 times a day over a few weeks. Best taken with food to avoid acid reflux. Avoid taking it at the same time when you take meds. Hi. Could you please elaborate on what rubbing turmeric means? If its topical application then please refrain from making any contact of turmeric with eyes. It is a spice and can cause irritation if it enters the eye. In this article we have spoken of oral consumption of turmeric and its benefits in uveitis. Please refrain from any topical application. Thank you for sharing this. We are glad to hear that turmeric benefited you in uveitis. I have been suffering from Uveitis since December 2015. Initially I was put on steroid eye drops , then intravenous dosage of steroid and then on steroid tablets. Parallel I had started on homeopath as well. But whenever they used to taper the dosage of steroid it used to recur.Then I heard about this place Sreedhareeyam in Koothatukoolam( near Cochin) where they treat Uveitis patients through Ayurveda. I visited the place in June 2016 and undergone around 20 days of therapy there and I am still on medication. I am also taking steroids & immuno-suppressant but steroid power is only 5 mg now. My eyes are better, silent from then on. Ayurvedic definitely worked for me and I will continue till I get absolutely fine. With current eye condition, my rheumatologist might stop steroid during my next visit. Please visit this place and get the benefit. Hi I also need full details of this place for my son. I suffer of UVEITIS since February and have drops every day. I was thinking to start taking Capsules with 475 mg (Curcuma longa). Thats recommended dose in Sweden. Is that enough per day or should I take more? “In clinical trials, 375mg of curcumin 3 times daily was administered to patients who had chronic anterior uveitis.” Does this mean they got 375mg x 3 = 1125 mg? 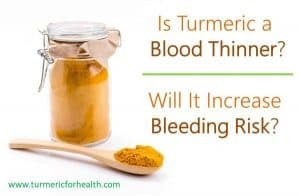 I would also like to know about the usage of turmeric for Chronic Uvietis. Will it be really helpfull. My daughter is suffering with chronic uveitis since last 8 years. Now she is 16 Years. note when i say ‘eye pressure’ this is a very preliminary stage towards a flare, after pressure is more pressure, then if you do nothing for a week it starts to sting and pulsate with slight pain, then the pain increases, then continuous pain not just pulses, then after that a full flare with start which includes photophobia (light hurts), cold tempartures hurt, there is constant pain but light and cold will make it untolerable. ofcourse don’t wait til full flare…… take your medicine and/or turmeric! can the turmeric be used for retinal detachment. No sorry turmeric is not beneficial for retinal detachment. Are their any studies suggesting the tumeric is beneficial for posterior uveitis?